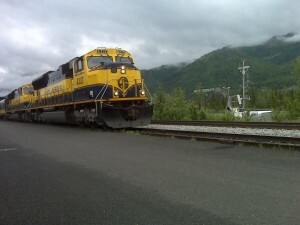 I’m at the Denali train depot, headed south to Talkeetna and the Mt. McKinley Princess Wilderness Lodge. I hope the mountain is out! 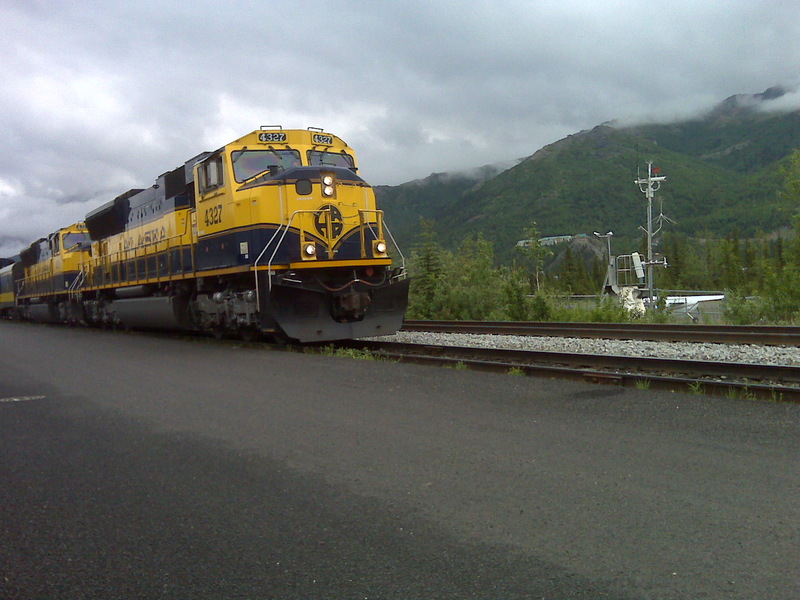 Alaska Railroad pulls Princess Rail's glass-domed cars south from Denali to Talkeetna.